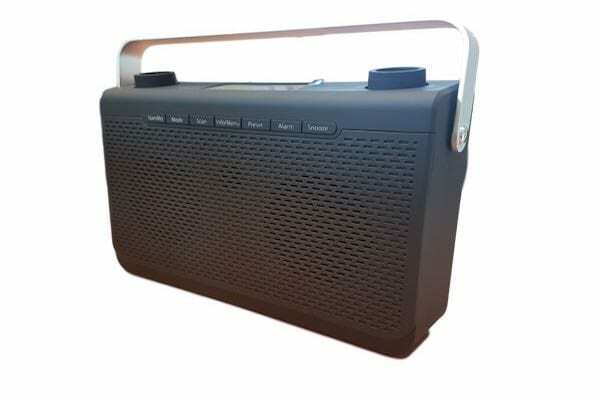 This working Stylish DAB radio is fitted with a superb WiFi (IP) spy camera system that allows live remote room video viewed on your Laptop or Smartphone, but also offers HD motion activated recording of events for later review. When deciding on a covert room surveillance camera system there is usually a decision to be made between the desire for remote ‘live’ viewing and the ability to record events for watching at a later time. This stylish fully-functional DAB Radio WiFi Spy Camera is installed with an amazing wireless internet camera that can meet both requirements. Ideal to use in a variety of scenarios, many have deployed this product as a Nanny Cam. Perfectly suited for use at home or in the office this WiFi motion-activated video surveillance camera (with sound), that does NOT require to be hard-wired to an Ethernet port or to the WiFi Router during or after setup. This means that after the very quick and easy setup procedure this Majority Comberton DAB radio can be placed in a location of your choice as long as it is within the broadcast area of the WiFi network to which it has been configured. Getting started really is quite simple. NO specialist technical knowledge is required and easy-to-follow instructions should get your camera unit up and running in less than five minutes. All you will need is a live mains power outlet at the location where you wish to position the camera system and a smartphone for the setup configuration. Do not confuse this class-leading IP camera unit with other devices giving lower quality imagery or with inferior capability. Many other systems on offer will provide pixelated video imagery and the majority will only allow you to remotely view what the camera is seeing within the bounds of the same WiFi signal, which usually means that you can remotely view from the next room or the next floor, but that really is about it. Our WiFi cameras produce full 1080p video quality (with audio) in best quality mode and can be remotely viewed from Windows computer or Smartphone (Android or iPhone) many thousands of miles away if desired (Internet connection needed for the receiving device). Through-the-lens motion detection video recordings can automatically store onto the internal 32GB flash memory storage and loop recording can be set if desired. The camera is installed in a position facing out of the front grille of the radio in a natural position to overlook the room environment. The camera lens is skilfully positioned and installed so as not to be easily visible to the human eye, even under close examination. The complete spy camera system is cleverly hidden within the body of the radio with no external signs that would giveaway the fact that a video surveillance camera is within. There are no sounds or flashing lights that would alert attention, so nobody should ever become suspicious. The movement triggers can be programmed to send a push notification alert to the smartphone app (the app does need to be on in the background). The remote viewing console is very easy to use and the software is available as an App download on Smartphones and a console is available for download on a Windows computer. This WiFi camera can be remotely viewed and controlled from an iPhone or Android phone. 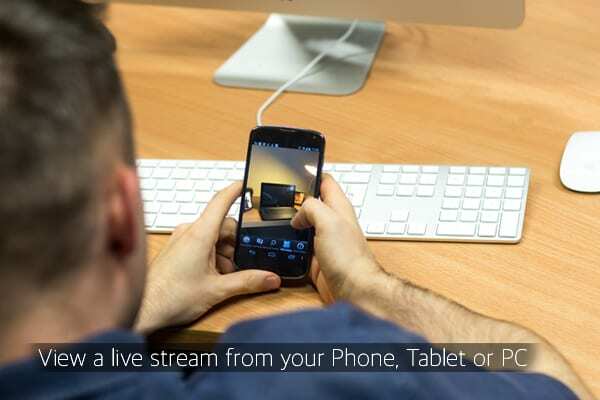 Remotely view ‘live, stream and record video, take stills is made simple. Streamed video footage from the WiFi camera is automatically stored on the device being used at the time. Many settings can be changed remotely. Switch the quality of the video footage, chnge the camera over to monochrome (black/white) to get the best results in lower light situations. Switch on/off loop recording, take snapshots. Set the sensitivity, time interval between and length of time recorded per file for motion detection. You can even set schedule between times for the motion activation feature. The DAB Radio WiFi Spy Camera gives a comprehensive spy camera solution for situations where remote ‘live’ viewing is required, automatic recording is desired and when it is difficult to return on a regular basis to service the camera unit because it is main powered. The product easily blends to many environments because it is a working DAB radio that has a quality feel about it and the camera system that is so cleverly installed. Can more that one camera be received and recorded at any one time? Yes, a number of WiFi cameras can be set up to feed to the same remote viewing console on your computer. Can other devices interfere with the transmissions? These devices use digital data streaming. There should be no interference from other systems, but the WiFi network installed upon can, as with normal systems, be affected by bandwidth restrictions that can affect video / audio produced. How much do WiFi cameras cost to run? There is no directly attributable cost for running a WiFi camera other than the electricity to power it, however, you should check with your Internet service provider to ensure that you do not have restrictions on data streaming. If there are restrictions in Internet usage, then costs could be incurred. Is the footage produced by the camera clear enough to identify people captured within say 10 metres of the camera? Yes, the footage produced is 1920 x 1080, in colour which is defined enough for identification purposes. Do I need to go into special configuration of Broadband settings to accommodate the WiFi camera onto the network? No, this is almost a ‘plug and play’ solution. It is easy to install and set up. No technical expertise is required. Can I use the WiFi camera worldwide? Yes, this system can be used outside the UK, however you should be certain to have the correct power supply to suit. Can the radio and WiFi system be powered purely from a battery supply? No, it cannot be powered up from a battery, a mains power supply is included with the radio for this purpose. You will need to have an internet-connected computer (Windows, Mac, tablet device) or Smartphone (iPhone or Android) to be able to remotely view and hear what the camera is seeing. You will require the password to the network on which you wish to install this WiFi camera system. You will need access to the WiFi router. The WiFi camera system will NOT work if the WiFI network that it has been connected to is switched off or is inaccessible. On some shared office systems, such as shared WiFi on technology parks where numerous businesses share the same WiFi output, it will not be possible to use this WiFi camera due to security restrictions in place for multi-office shared systems.